Boeing announced on February 16, 2018 that the 737 MAX 9 has received an amended type certificate (ATC) from the U.S. Federal Aviation Administration (FAA), officially certifying the airplane for commercial service. 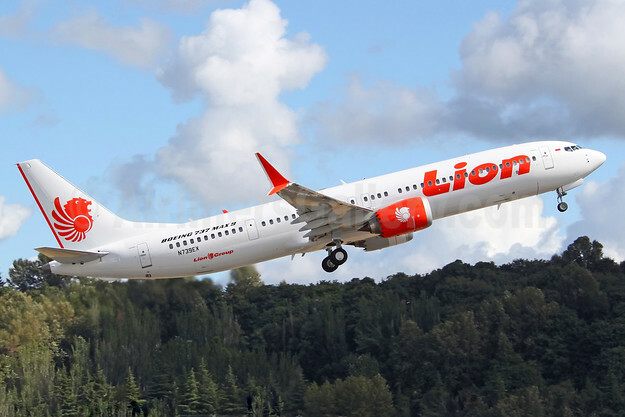 Copyright Photo: Lion Air (Thai) (Lion Griup) Boeing 737-9 MAX 9 N739EX (msn 42989) BFI (Joe G. Walker). Image: 939272. This entry was posted in Thai Lion Air and tagged Boeing 737-9 MAX 9, Lion Air (Thai) (Lion Group), msn 42989, N739EX on February 16, 2018 by Bruce Drum.